My husband has been attacking the mangos I buy ever since I showed him how to cut them up. I had an old post on here with terrible photos that I’ve been dying to re-do, and now I finally have! Sometimes people ask me how to cut/use/eat certain fruits and vegetables, so I’m going to try to do some photo tutorials of my favorite ones! 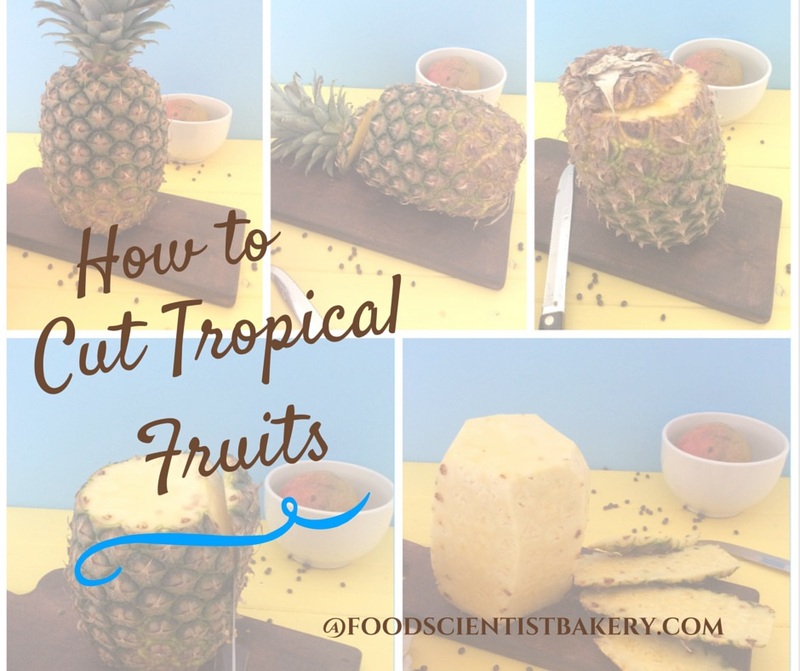 Tropical fruit is first on my list because 1) it reminds me of Hawaii, that magical state where I wish I was at all times and 2) it’s delicious, healthy, and sweet like sugar. These are probably some of the highest-sugar fruits out there, but rest assured, they are still very good for you! I know this isn’t close to all the wonderful tropical fruits out there (mmm, kiwi), but these are our very favorite ones! 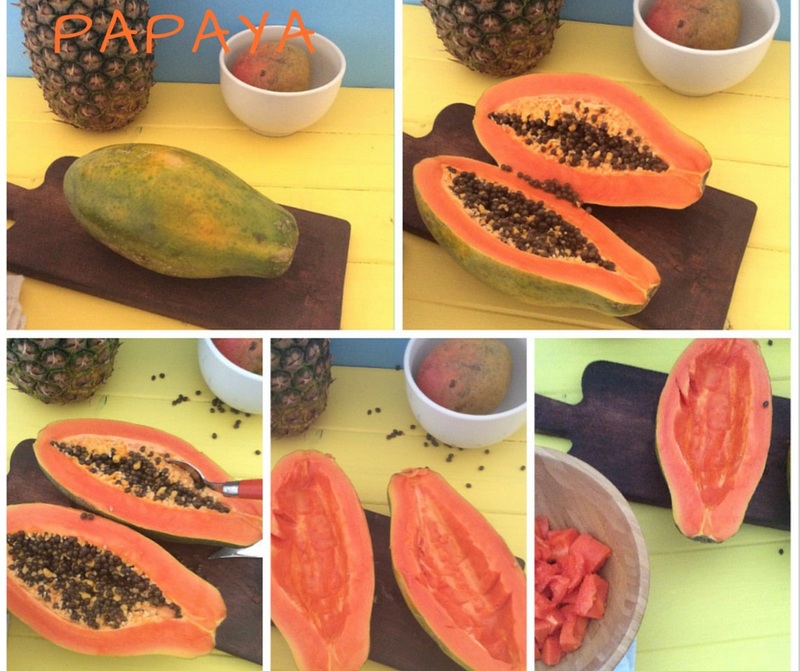 PAPAYA: Full of digestive enzyme papain, so it helps you break down food. 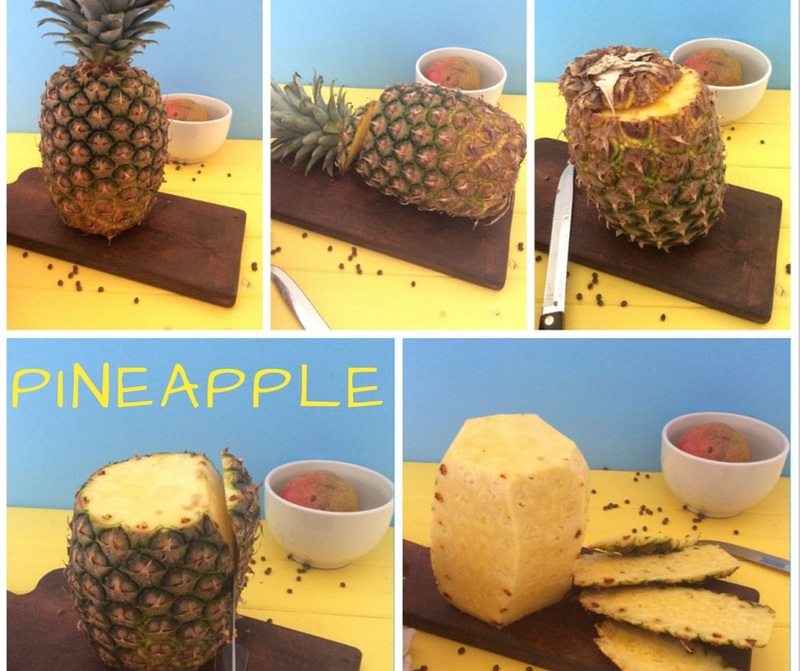 PINEAPPLE: Full of bromelain, another digestive enzyme! Plus 700% of your DV of Vitamin C. Not bad. Slice off the top, slice off the bottom, set upright and slice of the sides. Go back and take off any little brown spikes you missed. 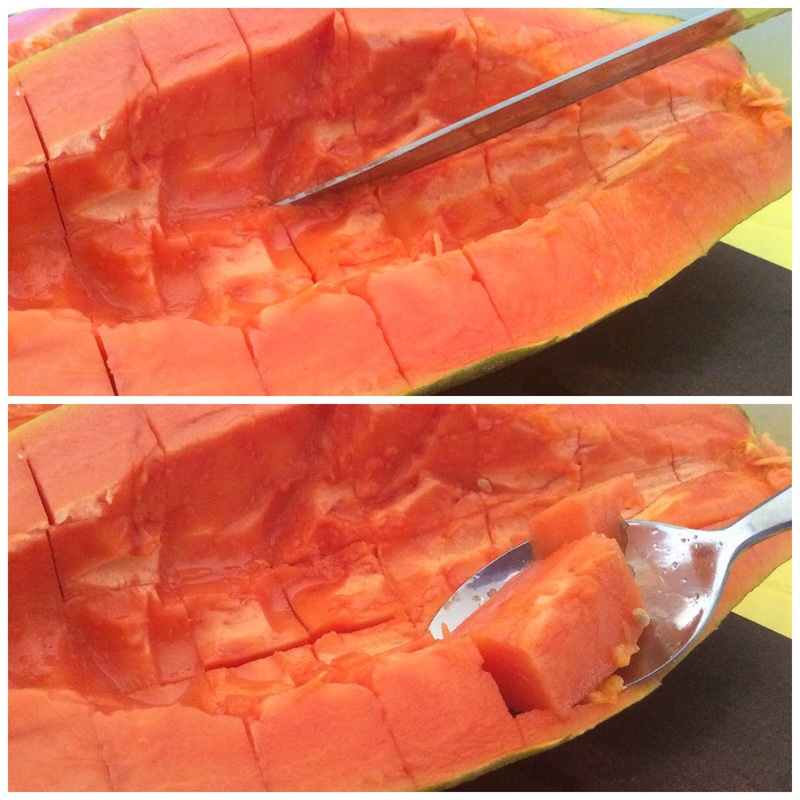 (Clockwise from top left) Slice off one side along the core, then slice the other side. Slice off the remaining skinny sides. Gnaw on core and throw it away (uhhh, yeah I do this. It’s like, the best part). 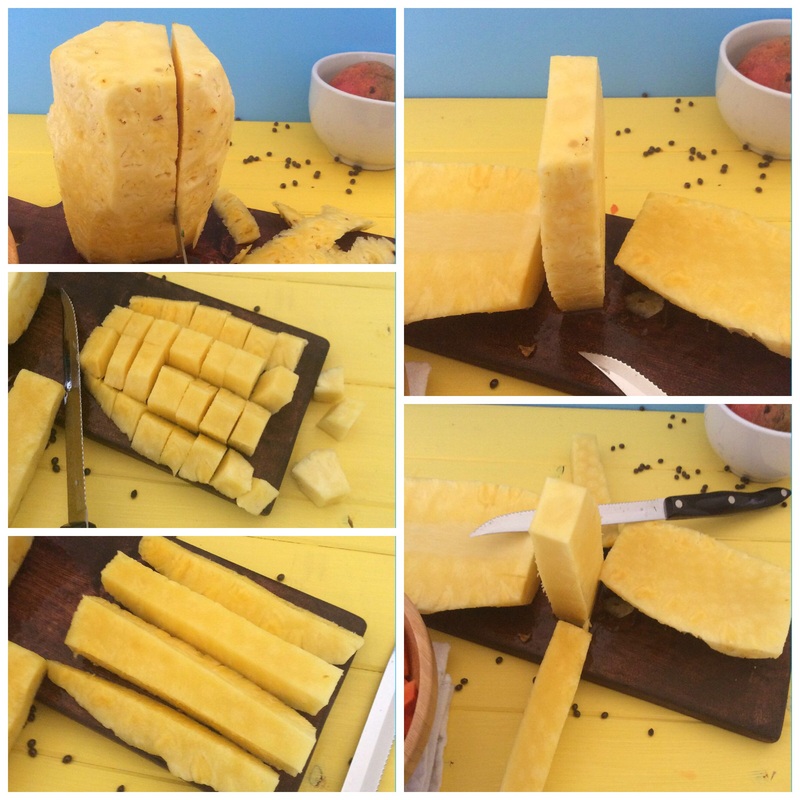 Slice large sides into quarters horizontally and then slice into chunks vertically. Slice skinny sides in half horizontally and into chunks vertically. 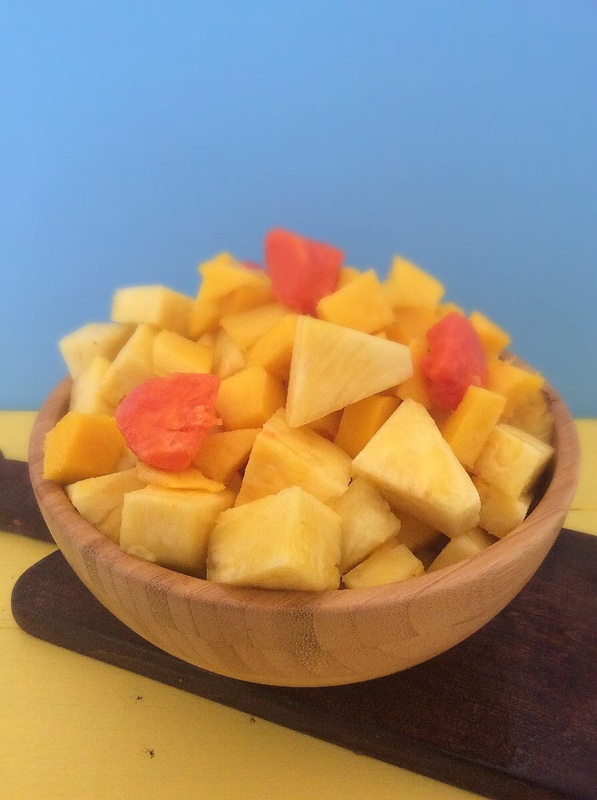 MANGO: 72% of your DV of Vitamin A and 200% of your DV of Vitamin C. Plus, when you get a good one, it’s uh-mazing! The small yellow mangoes (Ataulfo is the official name, which doesn’t roll off the tongue easily) are our favorite! Slice off one side along the core. Repeat on other side. 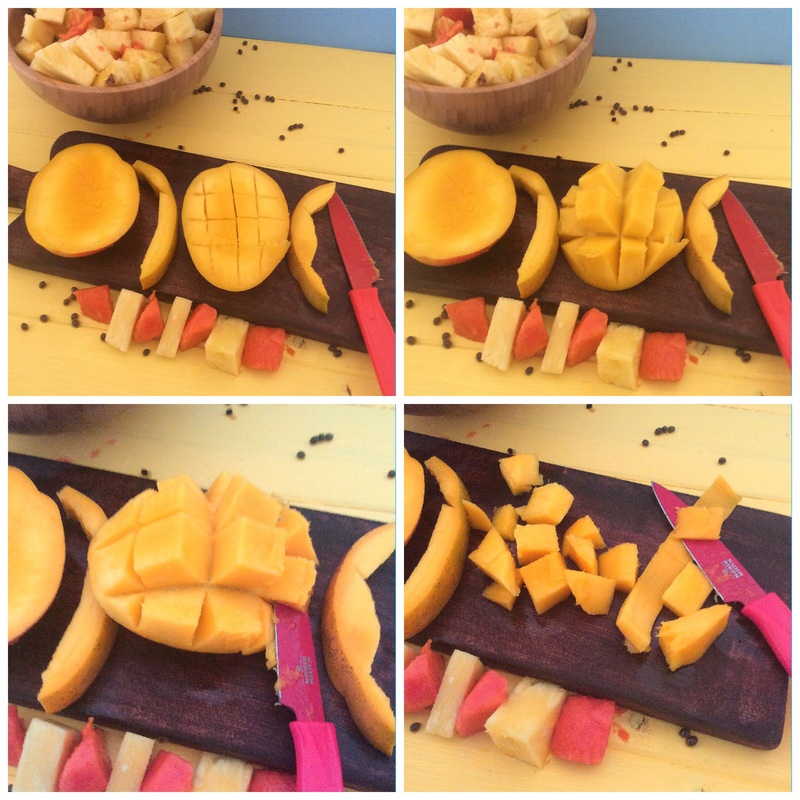 Slice the rest off around the core if desired – I like to get every drop of mango possible! 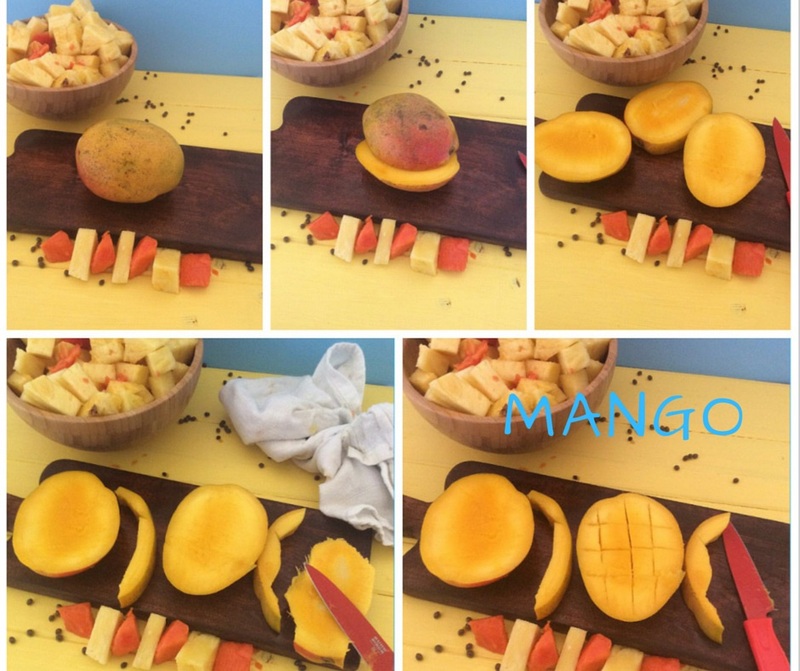 Slice into the mango vertically and horizontally, being careful not to break the shell. Flip the mango inside out and cut off chunks. Slice off flesh from remaining sides. Love tropical fruit! I definitely need to eat more of it. There are so many health benefits. Great info in this post!